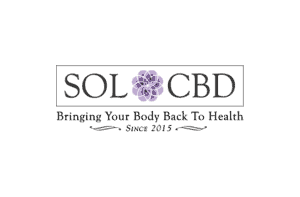 CBD Oil Review rates the Bluebird Botanicals line with five stars because it qualifies for the Safety, Quality, Charity, Mission & Innovation Badges. With an air of humility and kindness, Bluebird Botanicals makes it easy for us to conclude that they’re one of the best CBD vendors in existence. Not only does Bluebird Botanicals practice dozens of sustainability techniques, but they also cultivate loving relationships with the farmers who grow their hemp. One can see Certificates of Analysis for every product; a real rarity in the industry. To seal the deal, Bluebird Botanicals offers incredibly generous discounts to the disabled, veterans, and low – income individuals (upon verification). One would be hard – pressed to find another CBD vendor with quite the same flair for authenticity and passion. 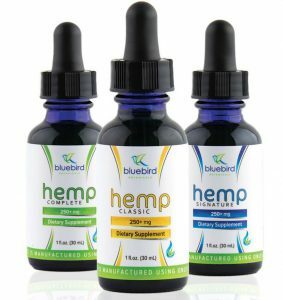 Bluebird Botanicals comes across as very down to Earth; perhaps their positive attitudes contributed to them winning #1 Hemp CBD company at the 2016 Cannabist Awards. Other contributing factors may be the tight – knit relationships they have with their hemp farmers or the specially-bred, phytocannabinoid and terpene – rich cultivars they source. Our wildest dreams came true when we saw the Certificates of Analysis proving contaminants testing for every product on their site (using the product number on the bottle will guide you to the correct CoA), the proverbial Holy Grail amongst CBD vendors. Bluebird's CBD product line includes tinctures, isolates, concentrates, vape cartridges/supplies, pet chews, and more. For those who are disabled, veterans, or low-income – you can receive a 25-40% discount after verifying your condition. 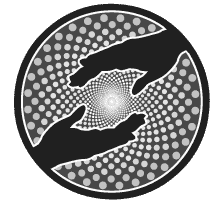 We deeply admire these sorts of assistance programs, as not only does it demonstrate the values and ethics of the vendor, but also the sad reality is that much of the time it’s the people who desperately need medicine that cannot afford it. Massive comments and testimonials sections only further prove what we already know – Bluebird is at the top of their game, and we expect to see them flourish and prosper in the coming years. Bluebird Botanicals tests for over 200 pesticides, heavy metals and mycotoxins. Their world – class standards are verified by independent and GMP – certified third party labs. 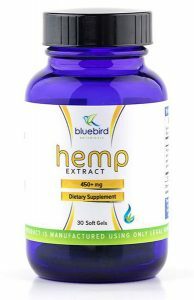 Bluebird Botanicals sources organically – grown hemp from Colorado. Bluebird Botanicals offers a discount program for veterans, as well as those with low – incomes or long – term disabilities. They also donate to innumerable charities and non – profit organizations. 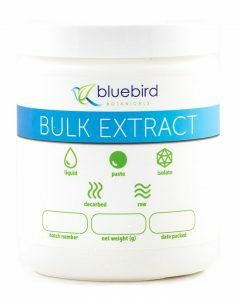 Bluebird Botanicals uses environmentally friendly ethanol and CO2 in their extraction processes. Bluebird Botanicals strives to produce the highest quality CBD products while having a minimal impact on the environment. HiCan you please confirm your UK details as I wish to order product.Thanks you. I am 50 years old and never used d4ugs. 8 years ago I was diagnosed with fibromyalgia, a week ago I was told about cdb. I did a little research and decided to try it. I bought Bluebird Botanical Hemp CBD Oil 250 MG from Christie at Smoking J\'s. OMG! What a difference. The second day my vision was clearer. My legs felt a lot better. Before taking the oil I would take my Cymbalta, take a hot bath, take a couple aleve, Tramadol, and a Tylenol PM to be able to go to sleep because my legs hurt so bad. It has only been one week and I am only taking the Tylenol PM to get to sleep. My legs feel like they are being healed. It sounds weird, but I can surely feel a difference. By the way I walk 6 miles everyday. 0i think different things work for different people, but this definitely worked for me. Thank you Bluebird Botanical. I have had the oil from Bluebird tested and it came back with a 9% CBD content. 9% doesn't really mean anything. How many grams per ounce does that equal? There have been claims of over 20% in their oil. Had it tested. About 10cc I think. Cost me to have it tested. Came back with product is rancid and 9% cbd. Seem to tast the same as the last time I got it. Rough. Might not have stored it correctly or their inventory is old. I think that's why we see it on sale often. At least it has some cbd.